Siemens PLM named Robert R. Ryan CEO of its CD-adapco subsidiary, whose president, CEO and cofounder, Steve MacDonald, passed away a few months before its acquisition by Siemens early this year. Ryan’s appointment puts a seasoned, world-class CAE executive at the helm of Siemens PLM’s CFD business. Ryan’s previous positions include chairman and CEO of ADAMS developer Mechanical Dynamics, Inc., acquired by MSC Software in 2002. Ryan’s appointment also strengthens confidence that the HEEDS multidisciplinary design exploration software from Red Cedar Technology—a CD-adapco subsidiary of which Ryan was CEO, and which Siemens PLM acquired in its CD-adapco purchase—will continue to receive proper resources, attention and management support. 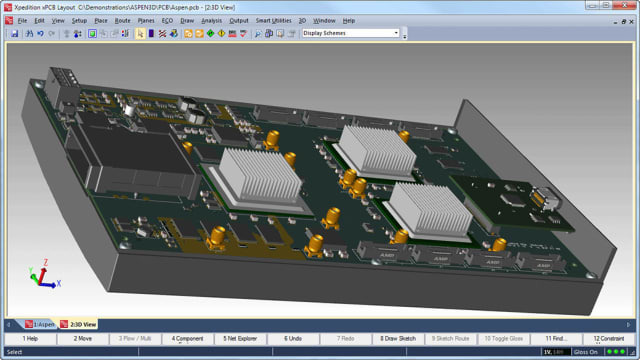 See Should you buy design space exploration technology from a PLM vendor? If you use design space exploration software, we invite you to take our five-minute survey of satisfaction with your software and vendor, and the benefits you’re realizing, via one of the links below. In return you’ll receive a report of the findings that will let you benchmark your experiences against those of your peers and competitors. Your participation and responses are strictly confidential. Findings will be discussed in aggregate only; no information about individual responses will be released. This survey is our own undertaking and is not commissioned by, nor executed in cooperation with, any software vendor or other party. To take the survey, click the link for the software you use. If you use more than one brand, take the survey for each brand you use. If you don’t see your software here, click the Other brand link and write in your brand where the survey asks for it. We value your input and look forward to sharing the findings with you.